During the height of WWII, a major funkspeil began which was a counter-espionage plan, introduced by Joseph Stalin. The operation was carried out by the Soviet NKVD to entice Nazi secret service agents into their grasp through radio messaging between August 1944-May 1945. Slowly but surely, the Soviets planned to eradicate the Nazi empire (Reich) from within, a maneuver now known as Operation Scherhorn. Operation Scherhorn (also known under the Soviet codename Operation Berezino) came to fruition through the efforts of two men: Mikhail Maklyarsky and Victor Ilyin, NKVD officers who based this side project on tactics used during Operation Monastyr. However, the operation was finally carried out by Pavel Sudoplatov and other NKVD officers. What was the main goal of Operation Scherhorn? To eradicate Nazi intelligence forces. The NKVD constructed an illusion, a fake team of armed German troops said to be operating in the Soviet territory. When the Nazis heard about it, they continuously sent in field operatives to give aid to their soldiers – only for them to be taken as hostages and later executed, one by one. In 1941, an NKVD secret agent named Alexander Demyanov used a meeting with a German citizen in Moscow to break open a German undercover network called Abwehr. He then came up with a plan to acquaint himself with the Germans as a “defector” and gain their trust. After three months, Demyanov returned to the Soviets as a now-active double agent, supplying them with secret German intel from sources who trusted him. After months of trading fake military strategies with the Germans, he was also feeding them small amounts of real Soviet intel. Not only did he want to appear genuine, but he wanted the information to serve as a distraction so he could conduct their side operation. Overall, Demyanov personally sent dozens of German operatives to their deaths through his deceptive tactics. His skilled actions came under the watchful eye of one prominent leader: Joseph Stalin. Intrigued by the results of their operation, Stalin wanted to continue the deceptive maneuver by widening its scope and creating a full-fledged campaign reliant on disinformation. 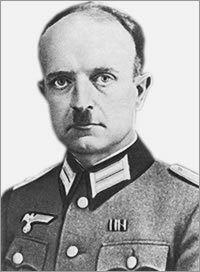 Appointing a task force led by Soviet Lieutenant General Pavol Sudoplatov to launch his new vision, Stalin made it clear that his goal was to get to the heart of Nazi intelligence by destroying the German special forces. Sudoplatov was instructed to build a ‘German camp’ just inside the Soviet territory to entice Nazi officers to send in agents on rescue missions. They then forced the newly-captured Germans to join the Soviet mission of destruction, using them to keep trusted connections intact. Finally, Operation Berezino was born. With the help of pro-Soviet Germans and antifascists, the Operation was successful from the beginning. The NKVD team scoured their prisoners of war and finally chose the man to help bring their plans into effect: Lieutenant Colonel Heinrich Scherhorn, captured in June 1944. He was picked to serve as their ‘commander’ in the fake camp, keeping up appearances with German contacts back home. Left with little choice, he agreed to play the Soviet’s game of deception. Operation Berezino first became active in August 1944, with ‘Max’ (Demyanov’s German codename) sending word about Scherhorn’s armed collective of up to 2,500 men being surrounded by Soviets along the Berezina River. Despite German Colonel Hans-Heinrich Worgitzsky initially being skeptical and anticipating a funkspiel from the Soviets, Officer Gehlen – a contact who trusted Max – argued for the rescue effort, and the plan was set in motion. 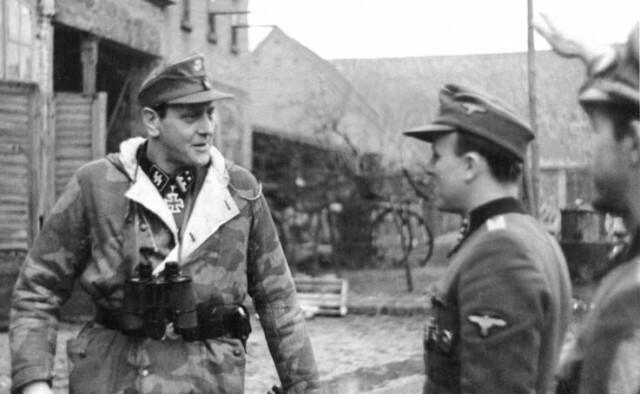 It was confirmed that a small group of 4-5 German commandos were on their way, sent by Head SS Officer Otto Skorzeny. A Heinkel He 111 bomber plane dropped supplies and paratroopers in assistance. The Soviets were ready for their arrival, disguised in Nazi uniforms to welcome their ‘allies.’ A collection of radio operators and SS agents made it to the camp, but once they entered Scherhorn’s tent, were all subsequently arrested by the NKVD agents. Also coerced into playing along, these commandos reported back that their mission was successful and more troops should be sent in. 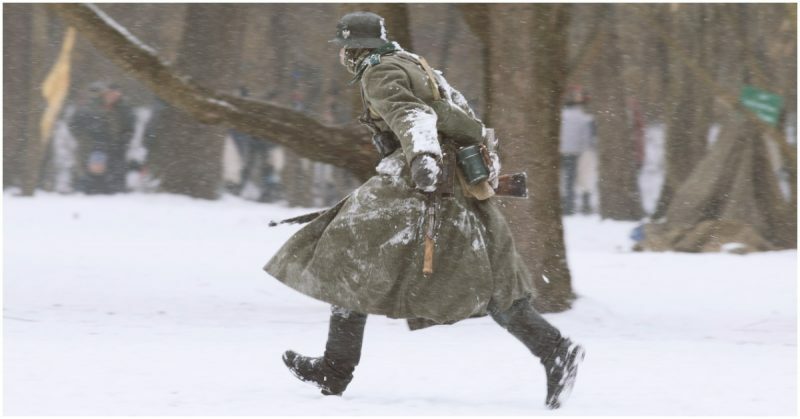 In rapid succession, Skorzeny sent in three more teams to help – and all three groups became prisoners of war, with the Germans being none the wiser as their comrades continued to send wireless feedback announcing their safe arrival. Continuing their deception, the NKVD had Scherhorn make contact with the Germans to announce that rapid success and return to Germany was impossible, as their numbers of wounded men had escalated. In response, Nazi command was going to send in planes to airlift the injured and bring them to the rear of the German front. However, such a maneuver would quickly call out the Soviet betrayal. To maintain their cover, the NKVD staged a mini ‘fight’, supposedly between Scherhorn’s men and the Soviet soldiers, on the night the aircraft were to land and make the rescue. In the chaos of the brawl, the makeshift runway had its lights extinguished, and the planes were unable to land and carry out their mission. The NKVD had again managed to keep up their game. For months, both Gehlen and Skorzeny played into the Soviet’s hands, believing their 2000 men stronghold was stranded in enemy territory. Skorzeny ordered Scherhorn to split the large collective, sending one side along the Latvian-Lithuanian border and the other south, where both would then continue North to safety. However, this plan also fell through as Sudoplatov took control of Polish agents helping the German movement and disintegrated their faction in Poland as well. The only support the Germans could continue to give was drop-ins of food and supplies. Throughout the entirety of the operation, sources say the Nazi regime sent 39 flights with 22 agents and 13 wireless sets. As the number of German captives grew, the NKVD began to lose control, as the operation escalated into something far bigger than they had anticipated. Despite this, radio contact remained between the Germans and the Soviets for months. Finally, however, the aid of the Germans began to diminish. Around January 1945, the German forces had distanced themselves too far from the ‘Scherhorn’ collective, and the Luftwaffe was running out of materials. Scherhorn, still under the NKVD and Sudoplatov’s control, continued to send requests for help over radio messaging, but little to no response was received. Gehlen, who had almost developed an obsession with making the Scherhorn raid a success, attempted to take control of the mission himself. However, Skorzeny vehemently denied any plan to take it on single-handedly, so Gehlen eventually backed away from the project. As WWII drew to a close, so too did the funkspiel come to an end. Scherhorn was named a national hero in March 1945 for his supposed efforts in Soviet captivity, with the Nazi regime even awarding him the Knight’s Cross. Until the early days of May 1945, the Germans kept up radio contact with ‘Scherhorn,’ keeping hope alive for the 2,000+ armed German men – that had never existed.